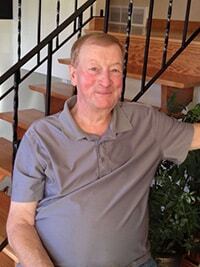 Dennis Olesen - Edmonton's Burial & Cremation Professionals | Trinity Funeral Home Ltd. It is with great sadness and much love that we say goodbye to Dennis Olesen. He will be lovingly remembered and sadly missed by his wife of 44 years, Shirley, his daughters Kristy (Craig), Kerry (Stacey), Kelly (Shaun); his grandson Charlie and ‘Papa’s Dollies’: Frankie, Jocelyn & Paige. Dennis was a much loved older brother to Ellen (Stan), Debbie and Ken (Lavern). Dennis was predeceased by his parents, Otto and Nora Olesen. Dennis had time for everyone- whether it was for someone to stop by for a beer and a chat in his garage, to being an expert handyman, to sitting around the fire pit telling stories at the lake. He was a kind hearted, genuine husband, dad, grandpa, brother, uncle, colleague, neighbour and a true friend. In lieu of flowers, please donate to The UofA Division of Hematology, clinical trials, whose research allowed us the time to make more memories with Dennis. Please make donations to: The Division of Hematology c/o Raeanne Barkhouse 4-112 CSB, 11350-83 Ave, Edmonton, AB T6G-2G3. Please make cheques payable to University of Alberta, subject line: to support Dr. Brandwein research. Shirley and family, with deepest sympathies we send our sincere condolences during this difficult time. We were all honored to have known Dennis, may care and love of those closest to you provide comfort and peace in the difficult days ahead. for years before I retired 7 years ago. Shirley – Our Thoughts and Prayers are with You and Yours today and ever more. Dennis will be sorely missed, but ever more remembered for his kindness and love for life and family. Take Good Care. Im very sorry for your huge loss. My thoughts and prayers are with all of you. May he rest in peace. Sending my love and hugs. A great man!Will miss his laugh and humor! Shirley, so sorry to hear of Dennis’s passing. Our prayers and thoughts are with you and your family during these emotional days. So sorry to you all for you loss. We know what an important part he played in all your lives especially the grandchildren . Wonderful memories will keep him in your hearts always. I am so sorry, Shirley, to hear of Dennis’s passing. My condolences to you and your family.